Come and join us for the start of something special, something new and something unique. 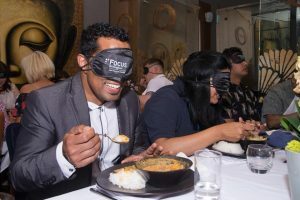 Zen Metro has teamed up with Focus Birmingham – a registered charity helping the blind – to bring you Metro Social’s inaugural event, Blind Friday. Join our esteemed guests on Friday, September 14, in order to discover Zen Metro, thai food, our ethos and more. For £25 per person, you will receive a welcome drink and a two-course meal, exclusive food recipes, wines on tables, raffles, giveaways and the opportunity to take part in a fun blind tasting session at our multi-award-winning bar and restaurant in the Colmore Business District of Birmingham. Metro Social will take place every month so be a part of a winning team and book your tickets today. Please email hello@zenmetro.co.uk for any dietary requirements. For ticket information click here or call 0121 2001911.